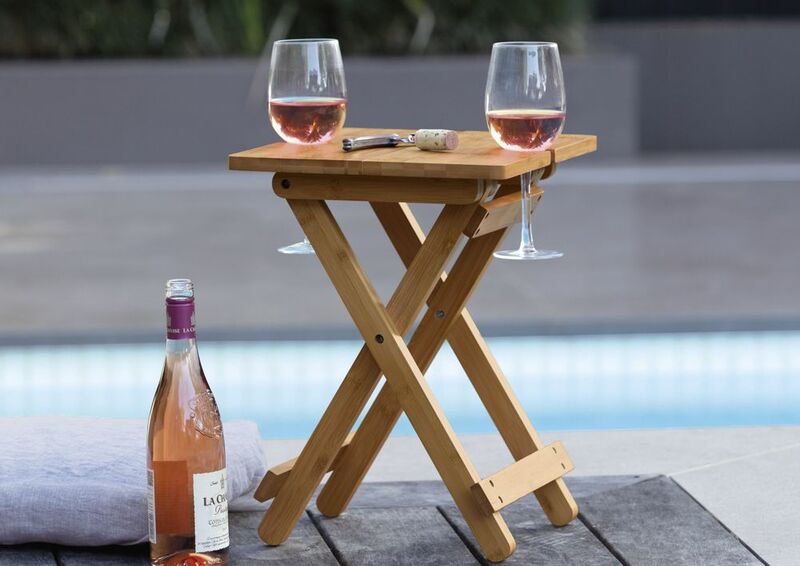 Foldable bamboo alfresco table with dual integrated wine glass holders. Our pick for this summer making and ideal client lifestyle gift. Subtle laser engraving on table top pricing shown. See pic.